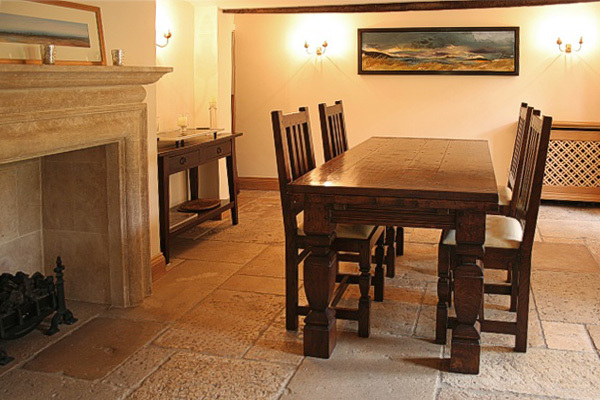 Bespoke designed and made Arts and Crafts style extendable oak dining table and matching upholstered seat chairs. Photographed at our clients Sussex farmhouse. Shown here with leafs of the table not pulled out. 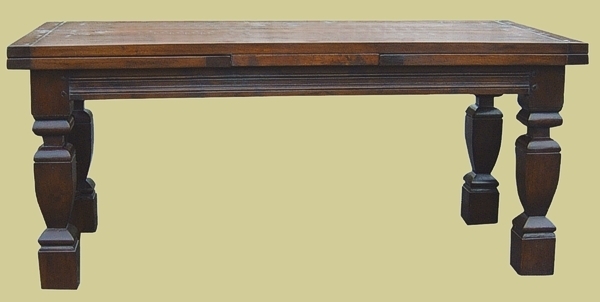 Note the square cut (shaped by hand) baluster legs, i.e. not turned, of both the table and matching scaled down versions on the front legs of the chairs.